GE Firstbuild, a partnership between of Louisville-based GE Appliances (NYSE: GE) and Local Motors, is collaborating with 3-D printing company MakerBot, part of Stratasys Ltd. (Nasdaq: SSYS), on the challenge. It’s aimed at developing innovations and products that can be placed inside of the refrigerator. FirstBuild engineers already have designed test prints that include a 3-D printed pizza box holder and a motorized 3-D printed wine chiller. If you’ve always thought your refrigerator needed an accessory that isn’t currently offered in the marketplace, this is contest is perfect for you. To qualify, designs must be uploaded to firstbuild.com between November 3 and November 23, 2014, at 11:59 p.m. EST. 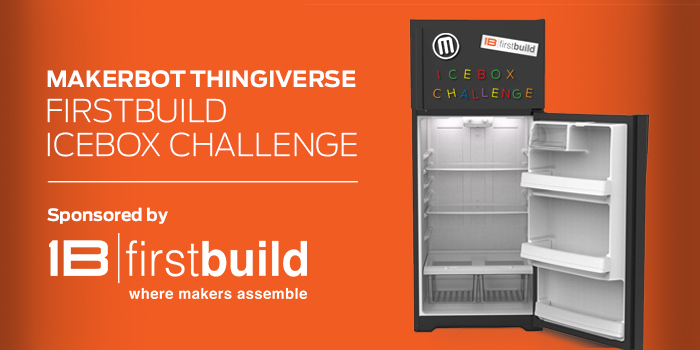 Entrants are also encouraged to upload their entries to thingiverse.com using the tag #IceBoxChallenge for a chance to be featured on the Thingiverse site.